Tap the keg and stock the bar, the rest is up to your St. Patrick's Day party guests. Their reaction to this Irish decoration may direct some to get their Irish up. 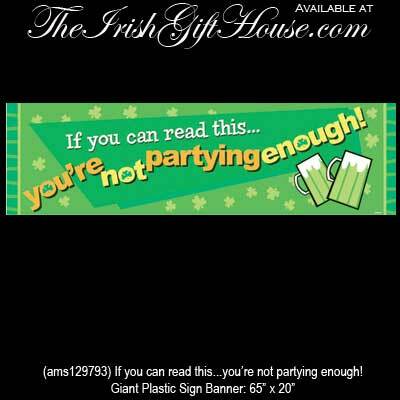 The green plastic banner from The Irish Gift House features shamrocks and measures 65" wide x 20" tall.